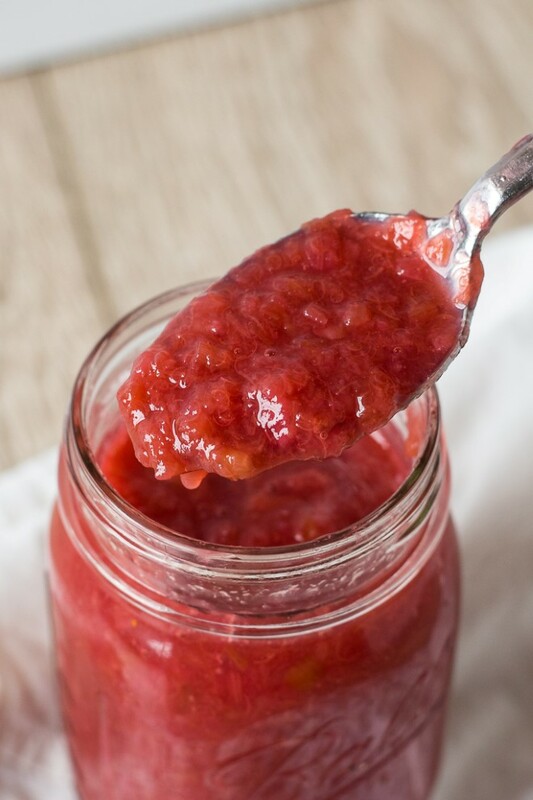 Tangy rhubarb sauce made with strawberry jello is a favorite old fashioned rhubarb treat. 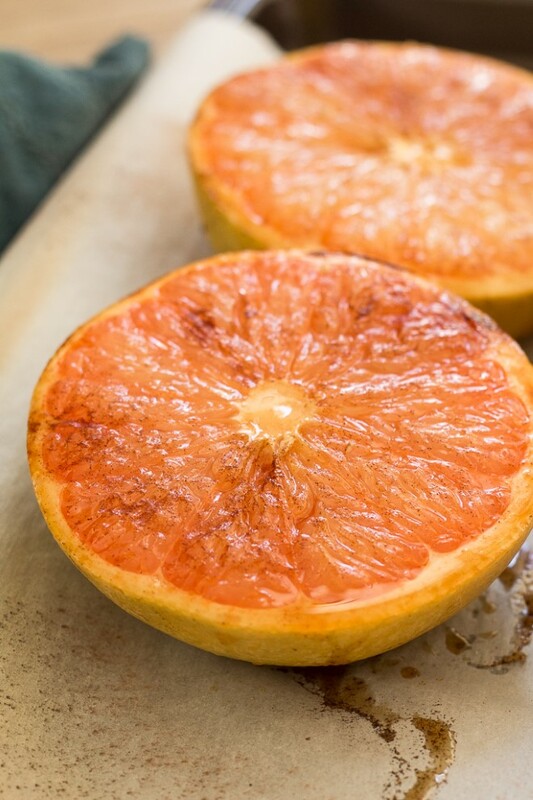 Serve it over ice cream or eat it in a bowl just like you would applesauce. Day 2 of Rhubarb Week. Old fashioned rhubarb sauce. 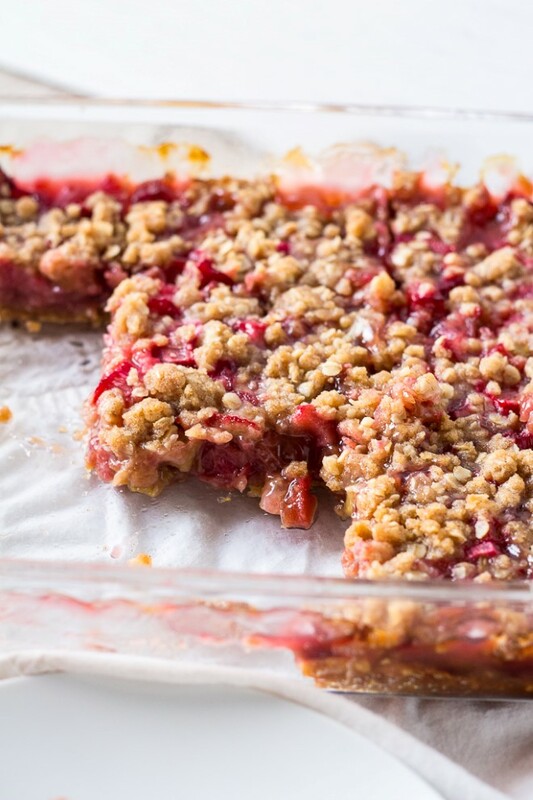 This was one of my great grandma’s recipes and true to her style, her original recipe read like this, “Add just enough water so rhubarb doesn’t stick while cooking. Add sugar to taste and jello to thicken.” No amount on the ingredients just basic instructions. 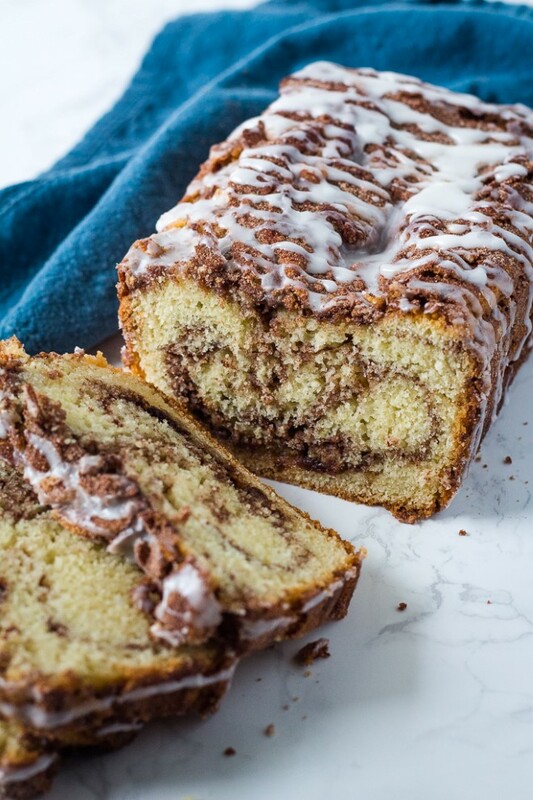 This cinnamon roll quick bread is soft and moist with a brown sugar cinnamon swirl and a crunchy streusel on top. 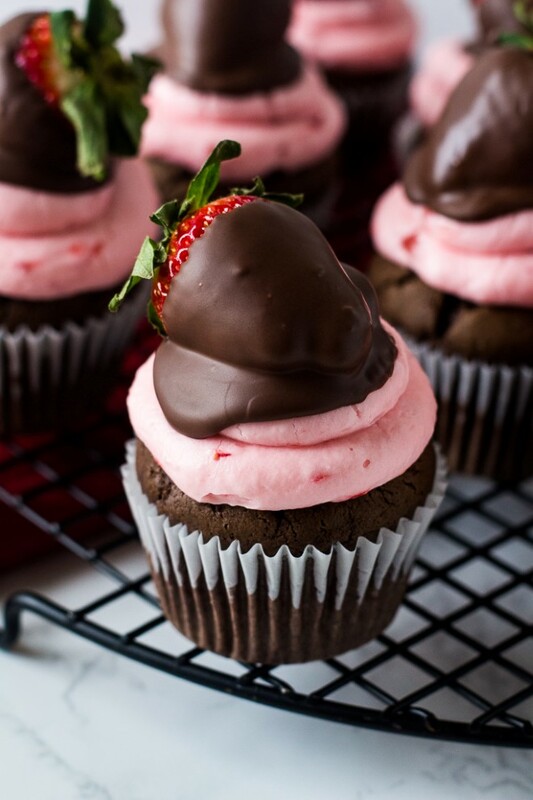 These chocolate covered strawberry cupcakes make a romantic dessert for Valentine’s Day. A chocolate cupcake made from scratch with strawberry cream cheese frosting and a chocolate covered strawberry on top. 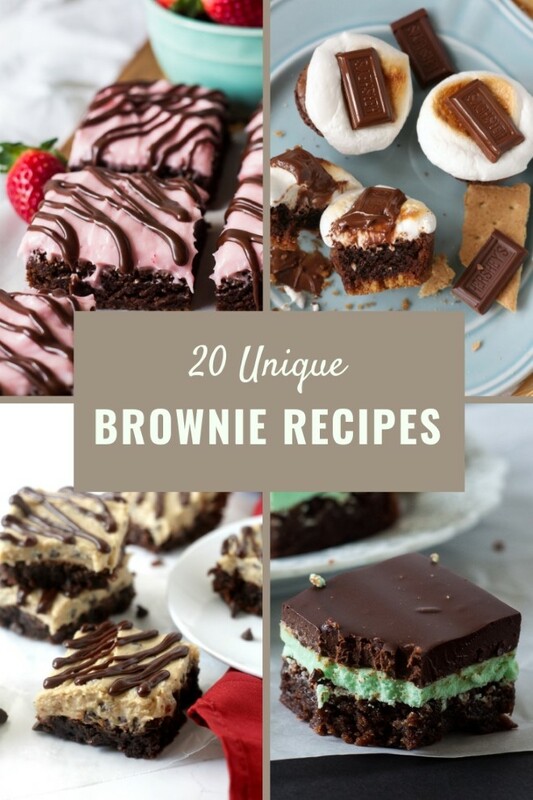 Check out this list of 20 fun and unique brownie recipes from when you have the baking bug and a chocolate craving. Yay! You’ve made it to day 5 of brownie week! Thanks for following along through the 5 special brownie posts this week. 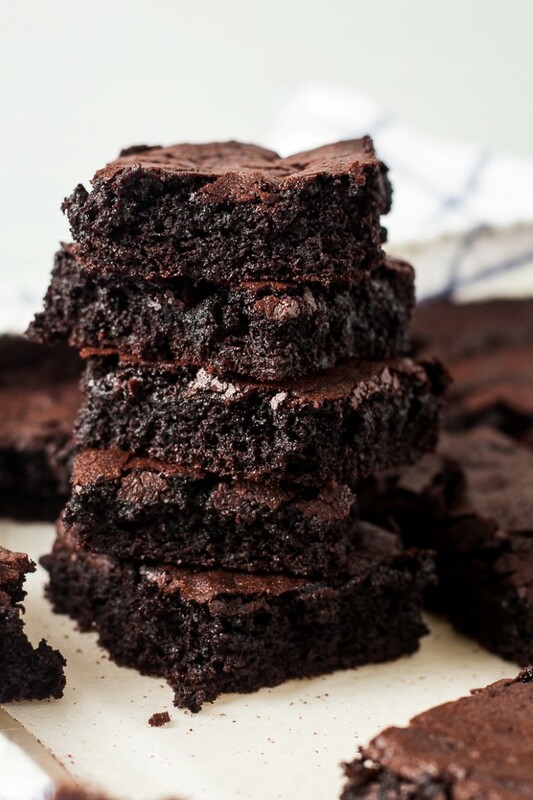 Now that you know how to make a killer fudgy brownie, there are unlimited ways you can jazz them up. 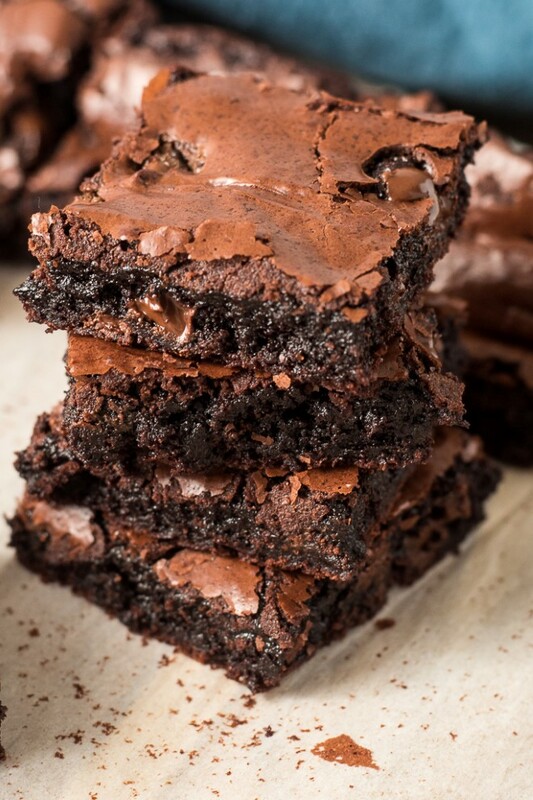 Check out this list of 20 unique brownie recipes below. 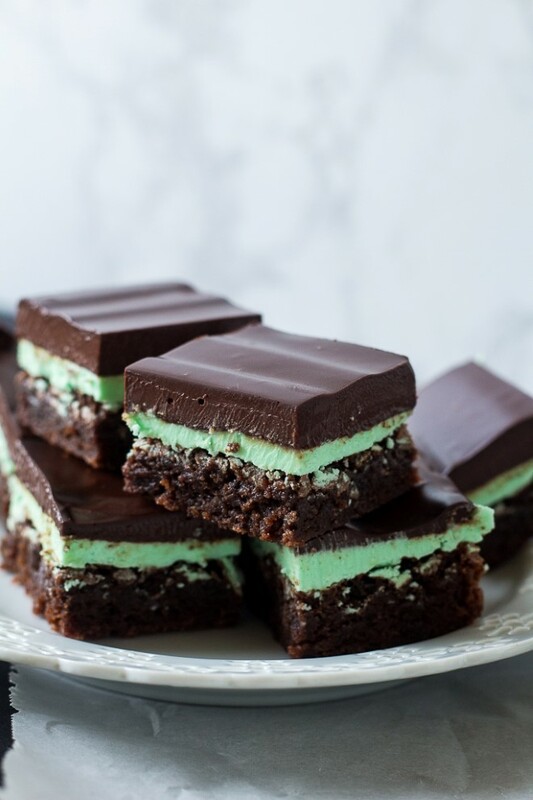 While a good fudgy brownie is hard to beat, sometimes its fun to take them up a level and add some other flavors. 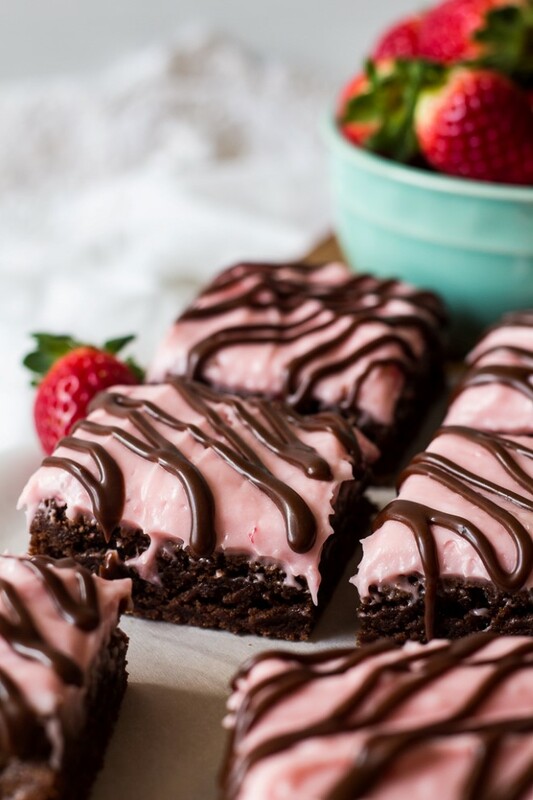 Try adding strawberry cream cheese frosting to your brownies for a fun Valentine’s treat. Day 4 of brownie week! Now that you know all the ins and outs of making a great batch of homemade brownies, I’l teach you how to you can upgrade a simple pan of brownies into a fun dessert for any occasion. Today we’re jazzing up our regular pan of brownies with some cream cheese frosting…. Brownie made with just cocoa powder can be rich and fudgy. This post will teach you how to make brownies with cocoa powder. They’re quick, easy and only one-bowl. This is a simple homemade brownie mix with cocoa powder. 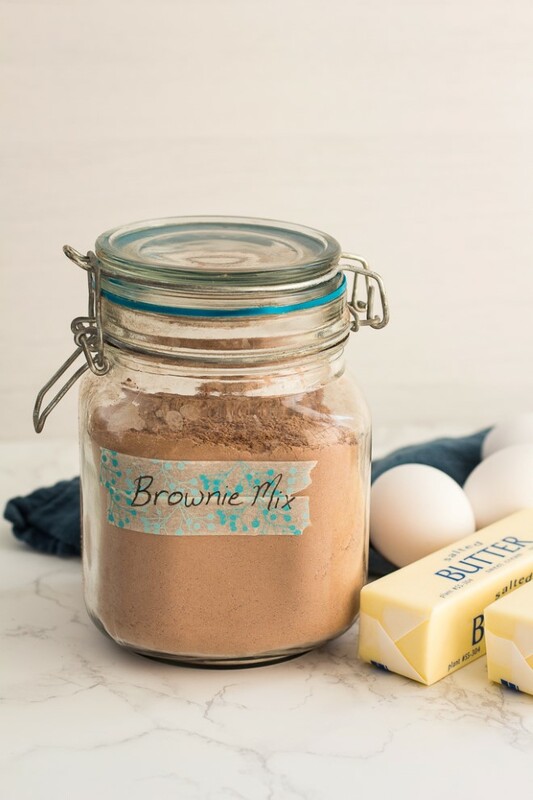 In this post, I share a recipe and tips on how to make an easy homemade brownie mix that is perfect for keeping in a jar and stirring up a batch of fudgy brownies when the craving hits. Here is the second post of brownie week. Yesterday’s post was the most delicious brownies from scratch in the world. Today, I’m teaching you how to make your own brownie mix with cocoa powder. You can keep this in a jar on the counter and when you feel the need for homemade brownies right now, you can quick stir up a batch. Make homemade brownies that are the best brownies in the world from scratch, even better than the box, thanks to a few tips and tricks in this post. Welcome to Brownie Week! I have 5 fun brownie centered posts for you this week. Today, I’ll be sharing the best brownie recipe in the world from scratch, tomorrow a great homemade brownie mix. 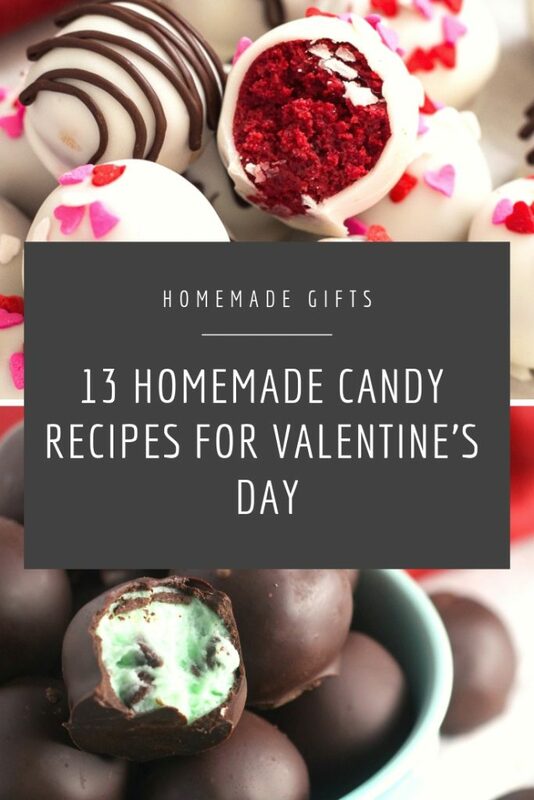 Then, an all cocoa brownie recipe, a strawberry frosted brownie recipe and a roundup of homemade gourmet brownie recipes. Get excited! 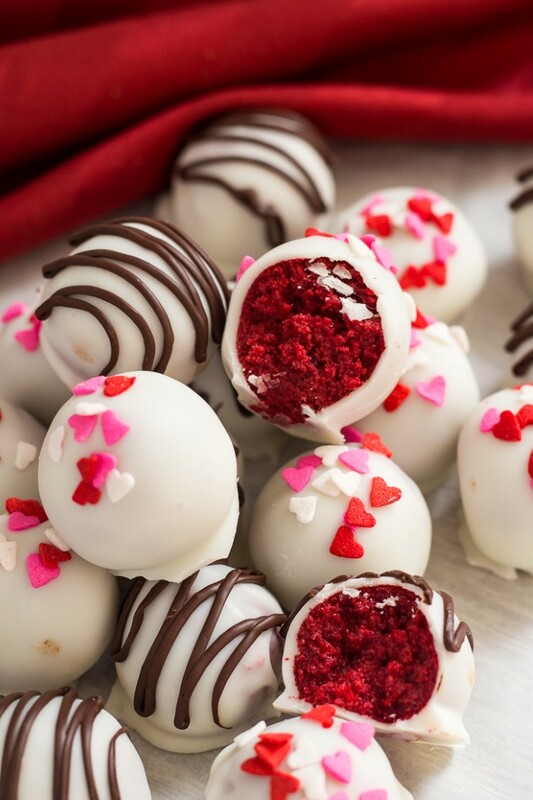 These Red Velvet Cake Balls are dipped in white chocolate and are elegant truffles for Valentine’s or Christmas. I had a red velvet cake mix sitting in my cupboard for awhile and thought cake balls sounded good one day. I like red velvet, but I can’t physically add that much red food coloring myself to anything, so it’s the one thing I always use a cake mix for. I do love the tangy, slight chocolatey flavor of red velvet and it always looks so festive. 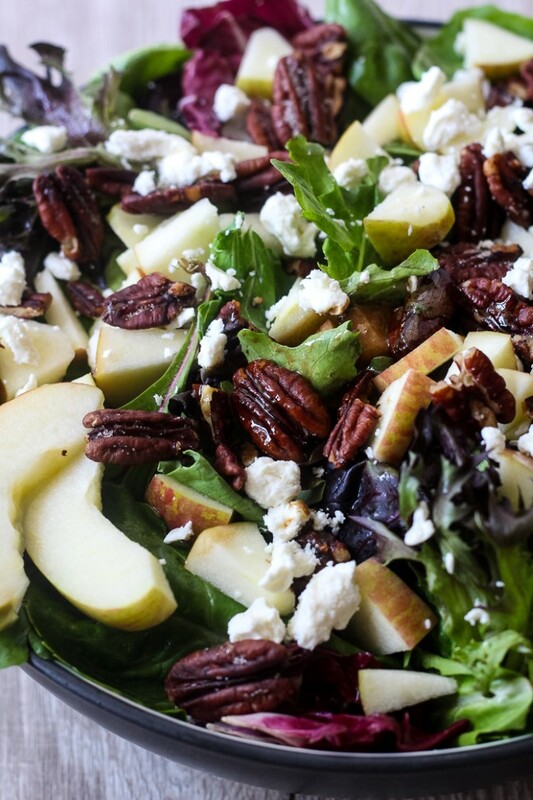 This Apple, Pecan and Feta Lettuce salad is a perfect winter salad. Balsamic vinaigrette is the perfect contrast to the sweet apples and pecans. This salad is a twist on my favorite Pear, Pecan and Blue Cheese Lettuce Salad which is a family favorite. I was in the mood for something different so I subbed apples for the pears and feta cheese for the blue cheese. I figured I should try and sneak in one or two healthier recipes before January’s over and everyone forget their healthy eating goals. I didn’t make any big eating goals this for this year, but for the past 2 months, I’ve been trying to eat at least 3 servings of vegetables a day…. 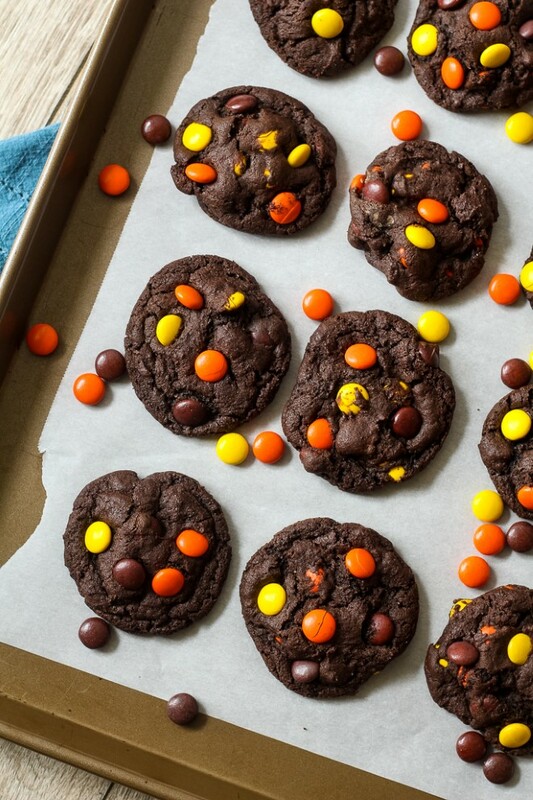 This Chocolate Reese’s Pieces Cookie Recipe starts with my favorite basic chocolate chip cookie dough and adds in lots of Reese’s pieces for the best peanut butter chocolate cookie. 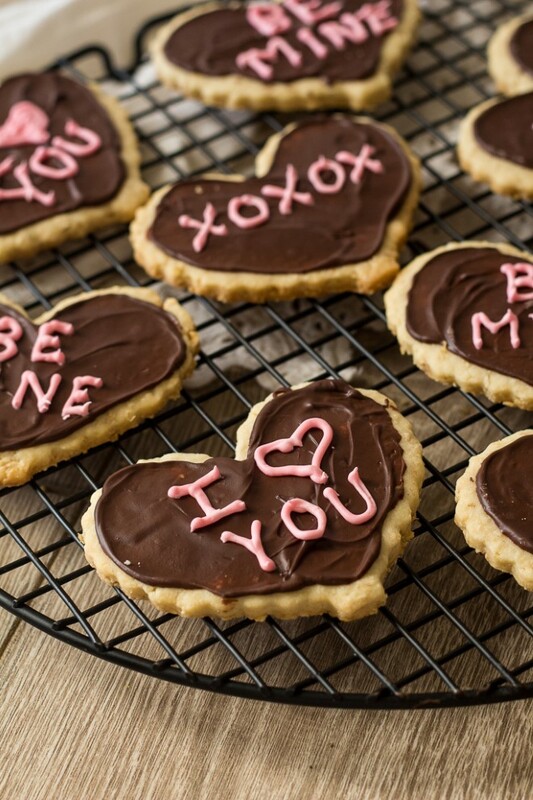 Are you sick of cookie recipes yet? No? Good, because I have at least two more to share with you before December is over. Also, I don’t think we could be friends if you got tired of cookies. Who gets tired of cookies? 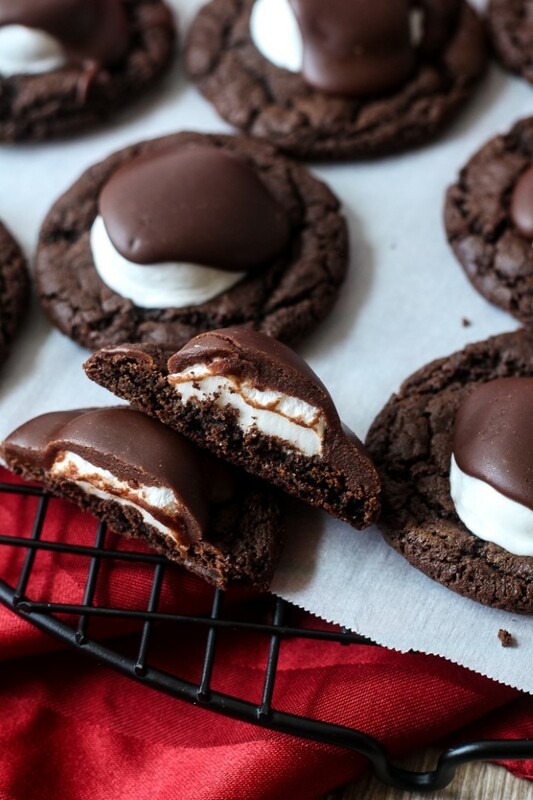 These chocolate covered marshmallow cookies have a thick chocolate cookie base, topped with a marshmallow and fudge frosting. It’s kind of like hot chocolate in cookie form. I’m on a chocolate cookie kick. Last week I posted my Chocolate Hazelnut Cookies, and earlier, I also posted Caramel Stuffed Chocolate Cookies and Chocolate Turtle Cookies last year. Lots of Chocolate Cookie Recipes for Christmas to choose from. Hold on, because I also have two more chocolate cookie recipes coming before Christmas, Chocolate Mint Cookies and Chocolate Reese’s Pieces Cookies. 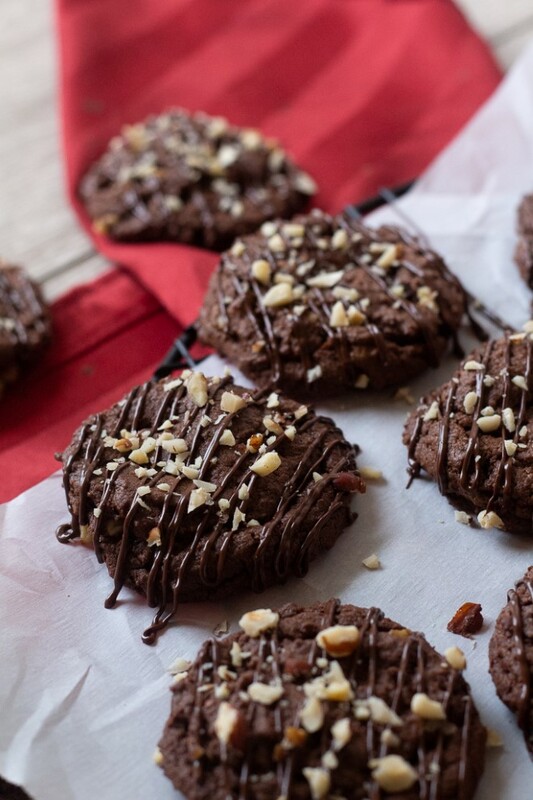 Chewy Chocolate Hazelnut Cookies are thick and chewy thanks to Country Crock® Baking Sticks and have chopped hazelnuts and hazelnut spread in the batter for lots of flavor. 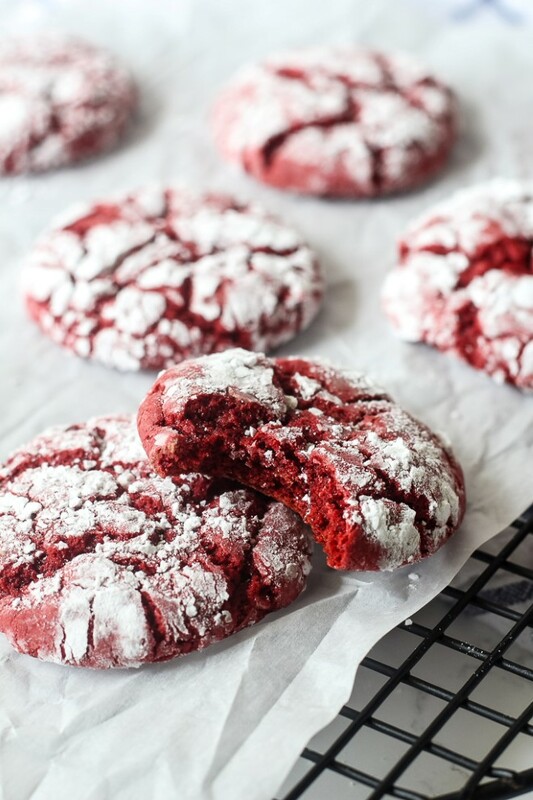 Cake Mix Red Velvet Crinkle Cookies are a fun cookie recipe that you can make in a pinch that still looks extra festive! These Cake Mix Red Velvet Crinkle Cookies are perfect when you need a cute Christmas cookie in a pinch. 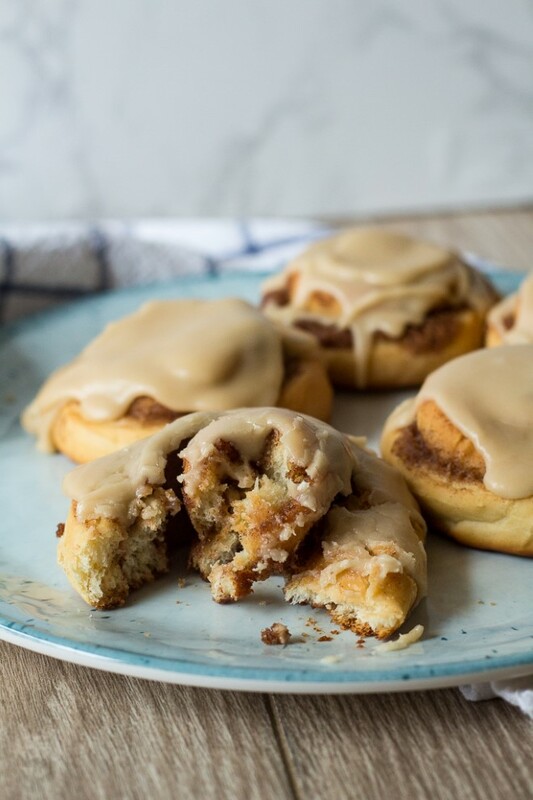 Only 4 ingredients and a few minutes. 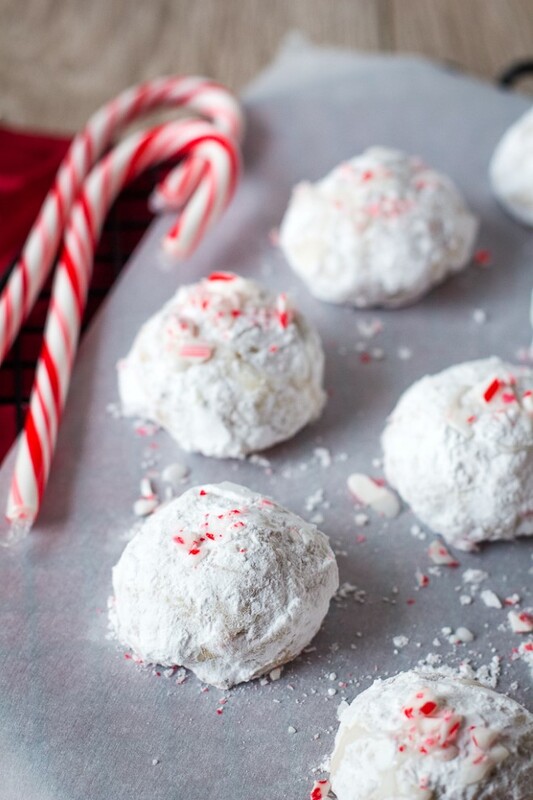 I have several fun Christmas cookie recipes planned that I can’t wait to share with you. I’m still working on a few more so if there are any flavors you want to see, let me know. I have some chocolate mint and some chocolate marshmallows and even some that may involve candy canes. Dark Chocolate Pecan Pie has all the flavor of classic pecan pie, but with the delicious addition of dark chocolate. 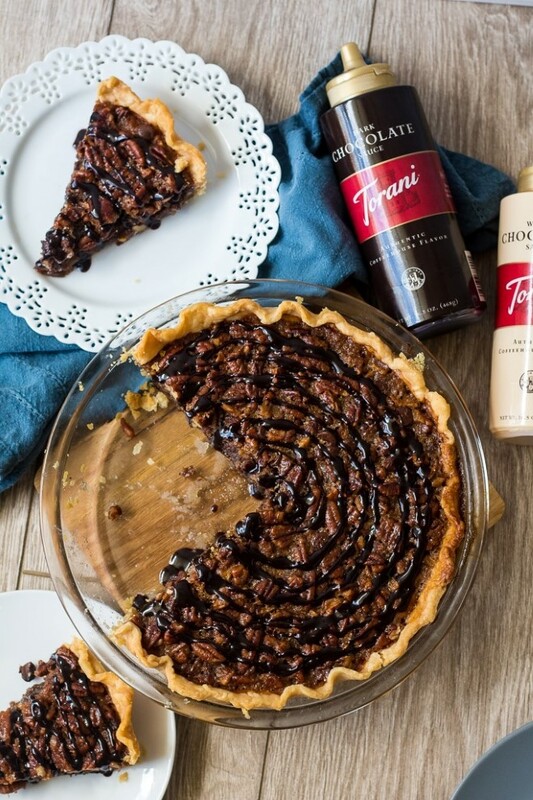 Take your Thanksgiving Pecan Pie up a notch with this twist on a classic. Since it has cooled off and the leaves have finally changed colors, I can actually get into pie mood and enjoy dreaming up Thanksgiving desserts. 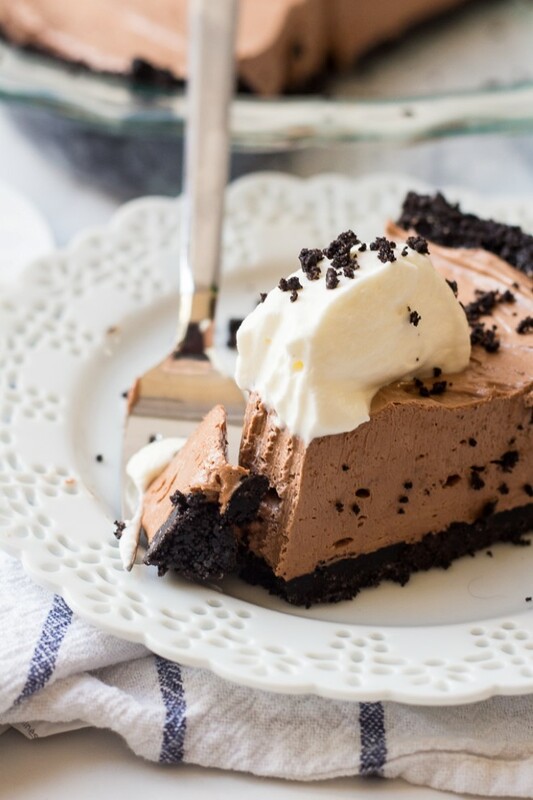 I’m excited to use Torani Sauces in this fun pie recipe. You’ve probably heard of Torani syrup that top cafe’s use in their drinks. They’re a family owned company that has been crafting drinks for over 90 years. Well they also have a line of sauces, dark chocolate, white chocolate and caramel that you can purchase at Walmart. And they make decadent coffee drinks and desserts. 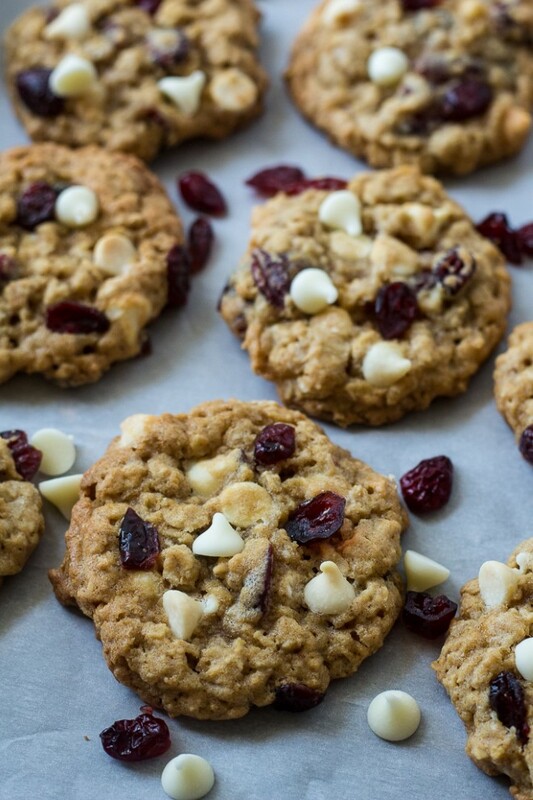 Cranberries and white chocolate chips take these oatmeal cookies from ordinary to spectacular. The oatmeal cookie recipe itself is fantastic with all the thick, chewy-softness you would want in a cookie. *This post was originally published in May 2014. I’ve updated the post and pictures. For some reason oatmeal cookies tend to get shoved to the sidelines, while chocolate chip cookies get the spotlight. But oatmeal cookies are packed with so much flavor and awesome textures. The oatmeal gives cookies a nice contrast to the sweetness.